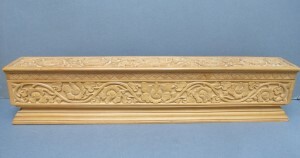 On this page you can find out what's NEW on our website, and which NEW ART OBJECTS have been added to our collection. This page will be updated, when there have been changes made to our website. We point out that almost each photo on this site can be enlarged two times. Just click on the photo once, and for an even larger image; click again. 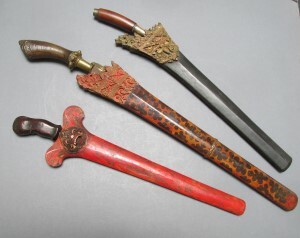 Antique object from the Bali before 1900. These ricebeaters were used after the harvest to flatten the top surface of a bundle rice arens. The use of these ricebeaters stopped when new types of rice were introduced in Bali around 1970. 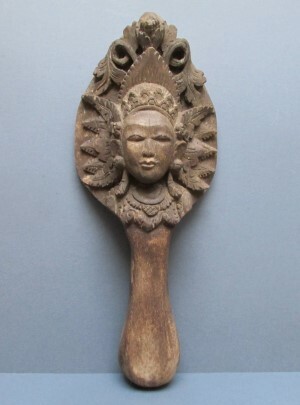 This heavy and well used ricebeater has the image of Dewi Sri, the goddess of the rice, carved on the upside. Real folk-art! 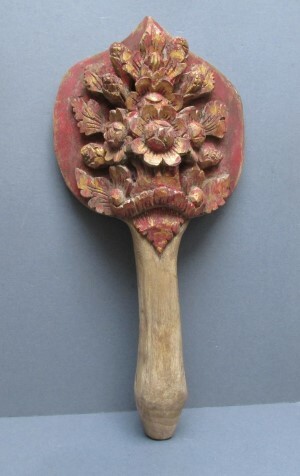 Wooden rice beater from Bali. 19th century. Local name; panaptapan. 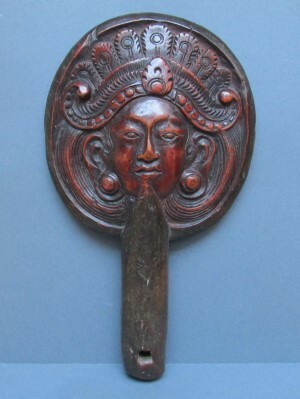 Antique object from the Bali before 1950. These ricebeaters were used after the harvest to flatten the top surface of a bundle rice arens, before these bundles were taken to the rice barns. The use of these ricebeaters stopped when new types of rice were introduced in Bali around 1970. On one side of the ricebeater an image of Dewi Sri, goddess of the rice, has been carved. No doubt to ensure a rich harvest. Pls click on the photo for more photos and info.